NEW YORK (WABC) -- New York City police are investigating a bomb threat against the Anti-Defamation League. 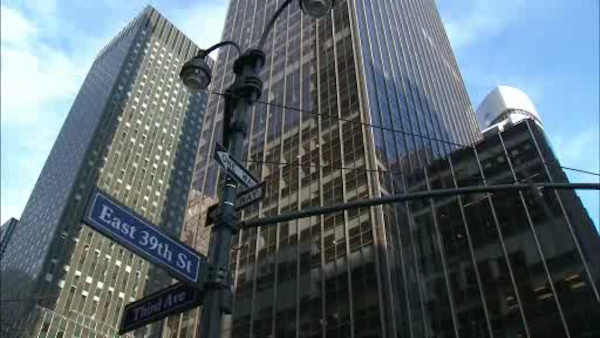 The threat was made to its headquarters on Third Avenue in Manhattan Wednesday morning. Investigators are working to determine whether the threat to the ADL is connected to a series of bomb threats at Jewish community centers across the country. The ADL says they are working with police, and that this is not the first time they have been targeted. ADL CEO Jonathan A. Greenblatt says it appears to be no more than a threat. However, he said the organization is "taking it very seriously." Gov. Andrew Cuomo says he's directed state police to coordinate with federal and local law enforcement agencies investigating the Wednesday morning phone threat. Cuomo also cited recent threats targeting Jewish community centers in Buffalo, Albany and Syracuse. Greenblatt said the incident won't deter the ADL's mission to combat anti-Semitism and "hate against people of all races and religions."